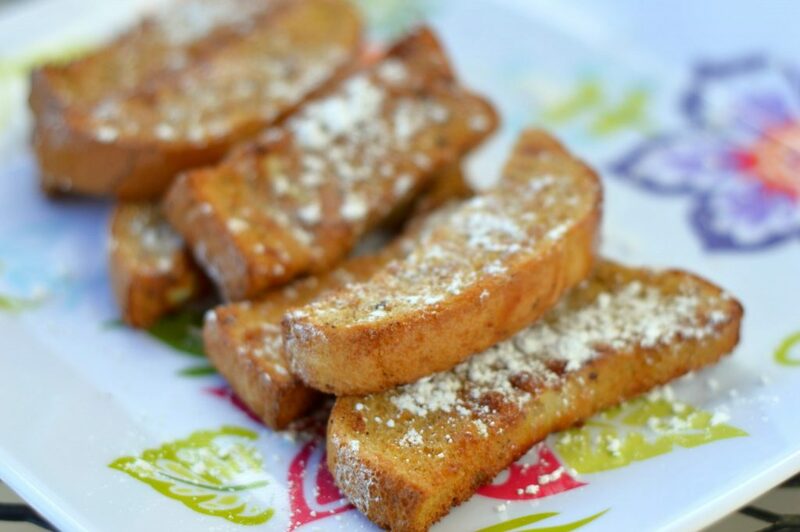 A delicious and easy breakfast to make with your Air Fryer! 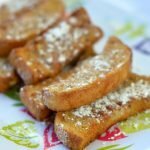 Check out this Air Fryer French Toast Sticks recipe! I’m totally obsessed with my Air Fryer. Since I got one from Santa for Christmas, I have made these Air Fryer Toasted Perogies, Air Fryer Burrito, Air Fryer Smores Poptart and Air Fryer Beignets! 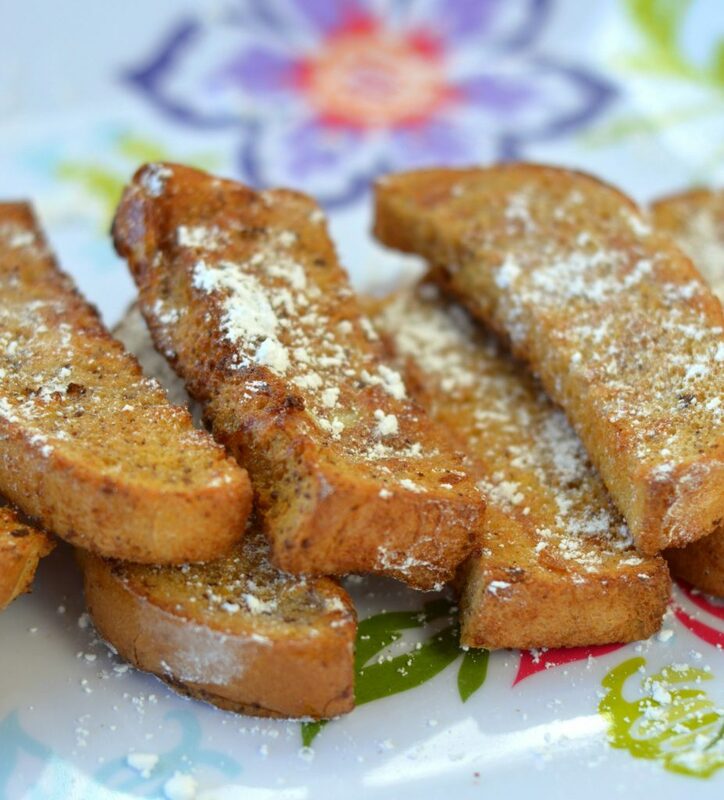 I truly love using my Air Fryer for breakfast recipes because it is just so quick and easy! Plus, using the air fryer you hardly make any mess! Mix that with the fact that I LOVE me some French Toast Sticks and WAHLAH! 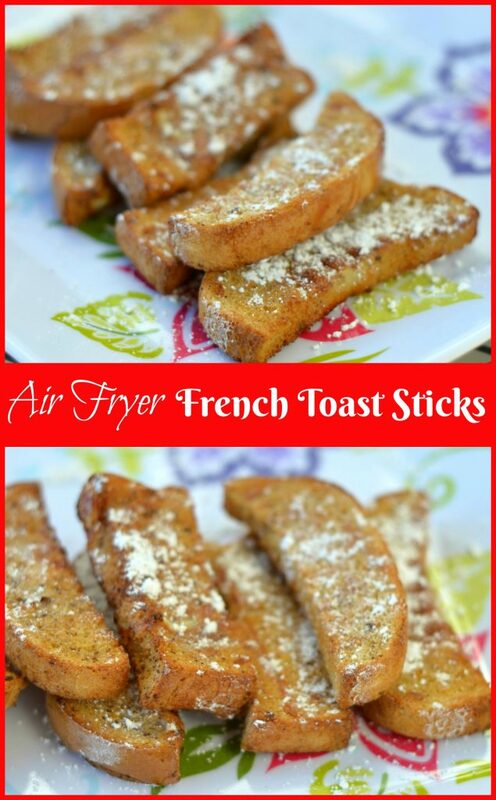 Check out this Air Fryer French Toast Stick Recipe! Cut bread into quarters. Mix up eggs, milk, cinnamon and brown sugar. Dip bread into egg mixture and place in the air fryer basket. Cook in Air Fryer for 8 minutes at 360 degrees. Pause after 4 minutes and flip bread over to cook evenly on both sides.